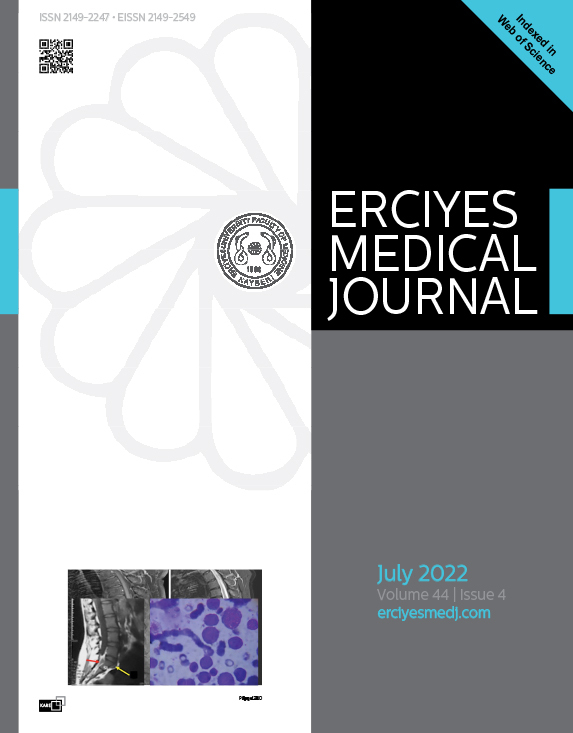 Erciyes Medical Journal (Erciyes Med J) is the international, peer-reviewed, open access publication of Erciyes University School of Medicine. The journal, which has been in continuous publication since 1978, is a publication published on March, June, September, and December. The publication language of the journal is English. The journal accepts clinical and experimental research articles in different fields of medicine, original case reports, letters to the editor and invited reviews for publication. Research articles and case reports on regionally frequent and specific medical topics are prioritized. Manuscripts on national and international scientific meetings and symposiums and manuscripts sharing scientific correspondence and scientific knowledge between authors and their readers are also published. The editorial and publication processes of the journal are shaped in accordance with the guidelines of the International Committee of Medical Journal Editors (ICMJE), World Association of Medical Editors (WAME), Council of Science Editors (CSE), Committee on Publication Ethics (COPE), European Association of Science Editors (EASE), and National Information Standards Organization (NISO). The journal is in conformity with the Principles of Transparency and Best Practice in Scholarly Publishing (doaj.org/bestpractice). The Erciyes Medical Journal is indexed in Web of Science-Emerging Sources Citation Index, TUBITAK ULAKBIM TR Index, Embase, DOAJ, HINARI, EBSCO and ProQuest. Processing and publication are free of charge with the journal. No fees are requested from the authors at any point throughout the evaluation and publication process. All manuscripts must be submitted via the online submission system, which is available at www.erciyesmedj.com. The journal guidelines, technical information, and the required forms are available on the journal’s web page. All expenses of the journal are covered by the Erciyes University School of Medicine. Potential advertisers should contact the Editorial Office. Advertisement images are published only upon the Editor-in-Chief’s approval. Statements or opinions expressed in the manuscripts published in the journal reflect the views of the author(s) and not the opinions of the Erciyes University School of Medicine, editors, editorial board, and/or publisher; the editors, editorial board, and publisher disclaim any responsibility or liability for such materials. All published content is available online, free of charge at www.erciyesmedj.com. Printed copies of the journal are distributed internationally, free of charge. Erciyes University School of Medicine holds the international copyright of all the content published in the journal.